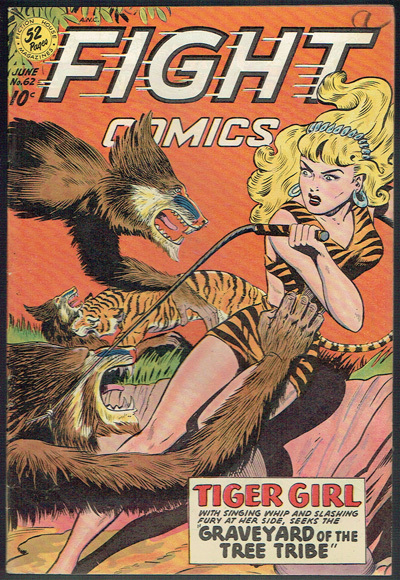 Nice Tiger Girl action cover. a' in sharpie top FC. Light fraying bottom and left edge BC. 1/8 inch pen dot top staple BC. Faint 1 inch crease bottom corner FC. Light staining bottom right corner FC and first few pages.